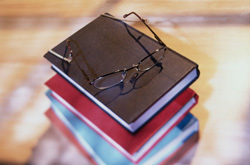 Do you have your list of books to be read in 2012? I have some from last year waiting for me to read. It’s good to have books around. It’s a bad thing (for me) when I finish a book and don’t have another one ready to read. I feel lost without a book in progress. I wonder which books I will read more of—paper books or eBooks. Getting eBooks is easier than going to the bookstore. And our local library is now loaning eBooks and getting new titles all along. Borrowing time is two weeks like paper books and on that due date the library will cause the book to vanish from your Kindle, Nook, or whatever your e-reader may be. The statistics about eBooks growth is astounding. I read that in December 2011 one million Kindles were sold each week. And those folks who received a gift are busy buying eBooks for their new machine. I’m not an economist but I know what supply and demand means. There must be a good supply of eBooks to meet the demand of buyers. There probably will be for more and more authors are turning to self publishing both eBooks and paper readers. Traditional and large publishers take so long to contract books and then sometimes an equal length of time to produce the finished book. Without an agent and a well-known name many new authors are passed by. It’s these authors who will be putting their work out as eBooks as well as paper books. You’re lucky if you’ve received an e-reader because—and this is just a guess of mine—you will have a vast number of eBooks to choose from to put on that e-reader. I think it’s an exciting time for both readers and writers. Writers can cut through a publishers loooong wait time and publish their own books as eBooks and paper books. I predict that some of these books won’t be well edited and you may find mistakes in them but most of these books will have had a good edit and we’ll enjoy reading them. Do you make note of the books you read? It’s interesting to do that and be able to look back and see what you’ve read and how many books you’ve read. Here’s wishing you good and happy reading for 2012!